Another sad day for the Community of Nations as the world hears of more bomb blasts now labeled Acts of Terror. Below is a message sent by President James Michel of the Seychelles to the Kingdom of Belgium. Similar words were echoed by President Obama of the USA and Prime Minister Cameron of the UK as they made statements to the press in the hours following the Belgium bomb attacks. Only last week I posted the message from Egypt announcing the closure of some dive centres, decisions that was set to impact on the tourism industry of Egypt and on the country’s economy. The People of Egypt will now suffer because tourism remains the most vulnerable industry and Acts of Terror or bomb attacks creates instability and would-be tourists stay at home. Just last week I appealed for Ministers of Tourism not to be by-standers in this assault of their industry. 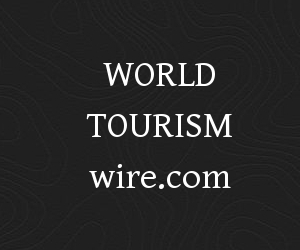 The Secretary General of the UNWTO, Mr Taleb Rifai earlier this year rallied some 8o Tourism Ministers and other high officials for a meeting in Madrid to discuss exactly the question of tourism and instability. The Madrid meeting was the result of an appeal I had personally made to Mr Taleb Rifai. In Madrid we had all agreed that we needed the main press houses to understand our appeal, but every assault on Member States of UNWTO we continue to see headlines depicting yet “another star is born” . The world needs more than ever before to see political leaders sit with the press to discuss the right to information versus the right to life and economic stability. I offered Seychelles as the venue for such a meeting under the auspices of the UNWTO and my offer stands today as it did late last year after the Paris bombings.